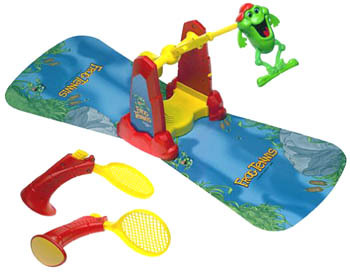 Frog Tennis Game by Hasbro. Frog Tennis is the silly electronic tabletop skill & action game that's got a cool talking frog. Give him a smack with your raquet to send him flying and uttering senseless speech. Kids will enjoy whacking him back and forth.